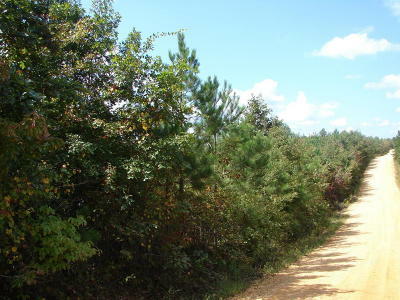 Country Road 104 Tishomingo, MS. | MLS# 18-3293 | Pickwick Lake/Iuka, MS Homes for Sale, Property Search in Pickwick Lake area. 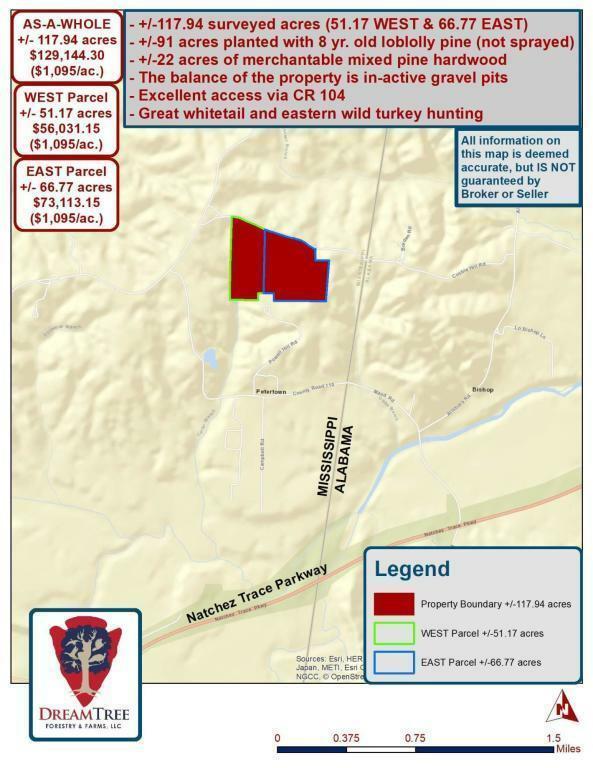 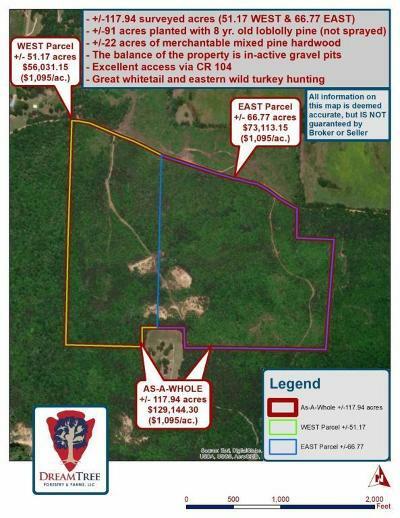 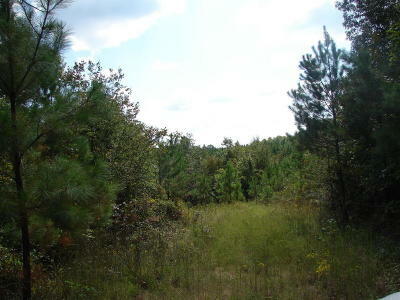 Owner will divide into +/-51.17 acres & 66.77 acres, or sell as a whole as +/-117.94 acres. Great, gently rolling timber land. 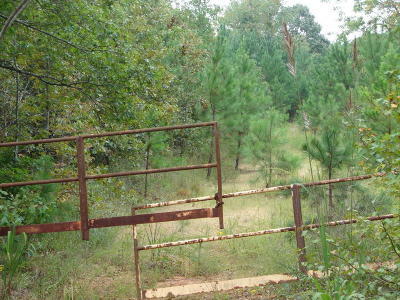 Most of this property could be converted to pasture if desired. Nice potential home sites along abundant county road frontage. 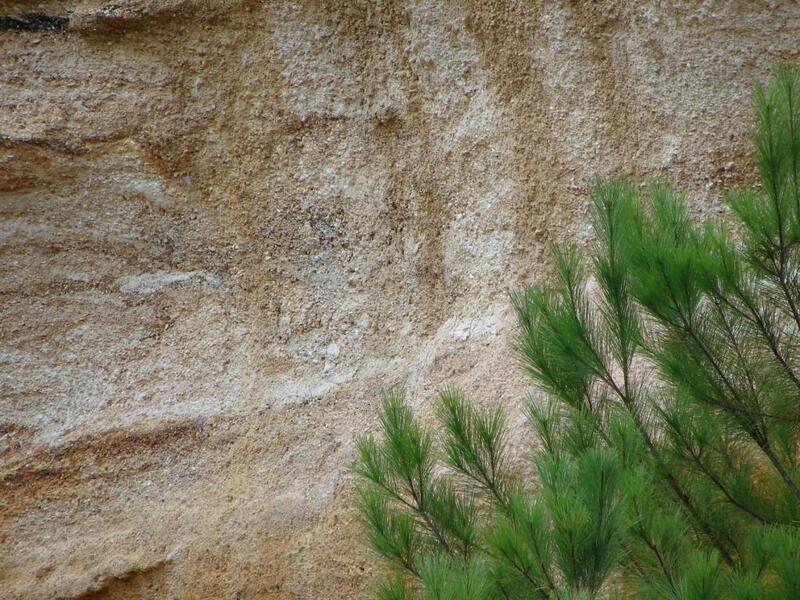 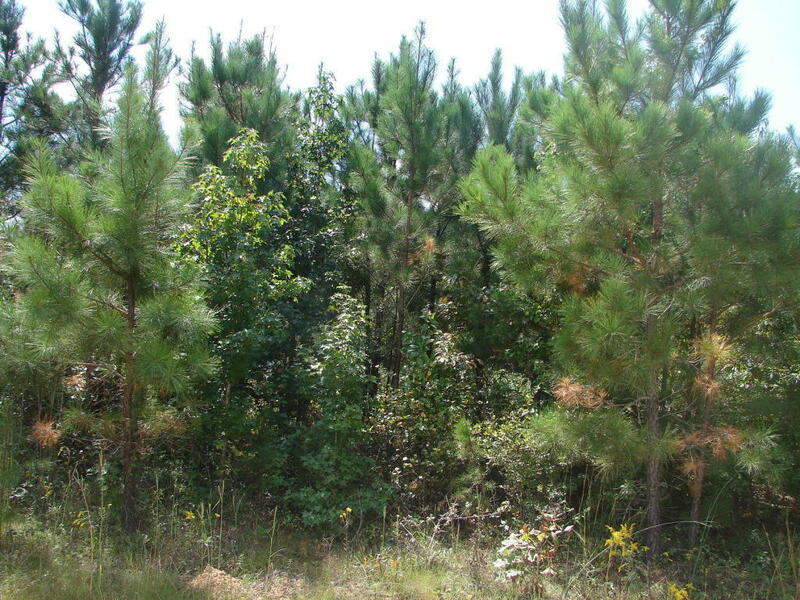 +/-9 year old planted pine (not sprayed) grows on approximately 91 acres of the Subject Property. 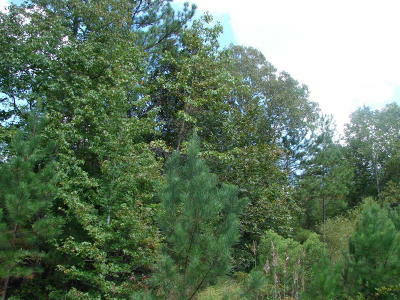 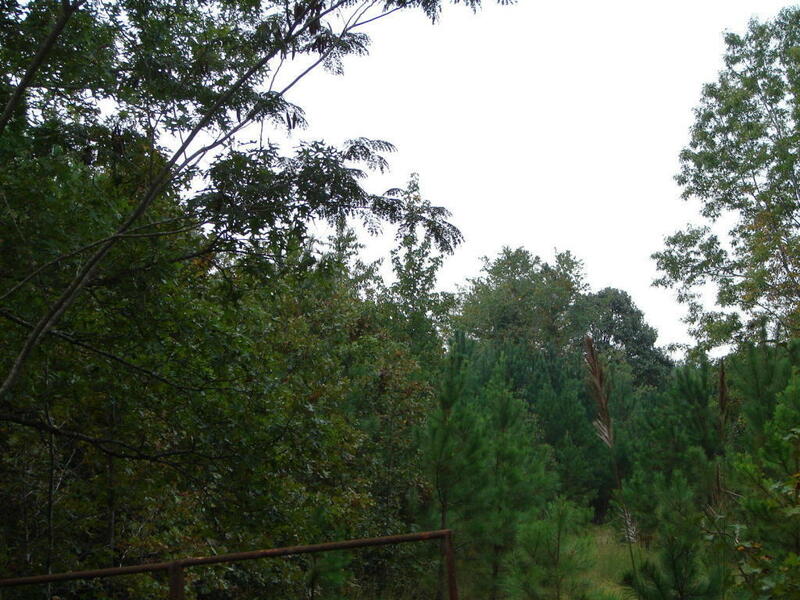 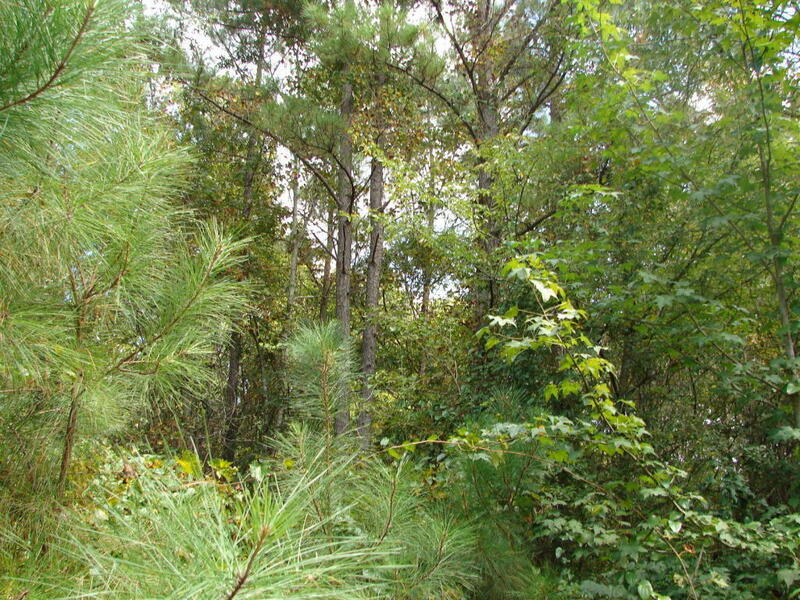 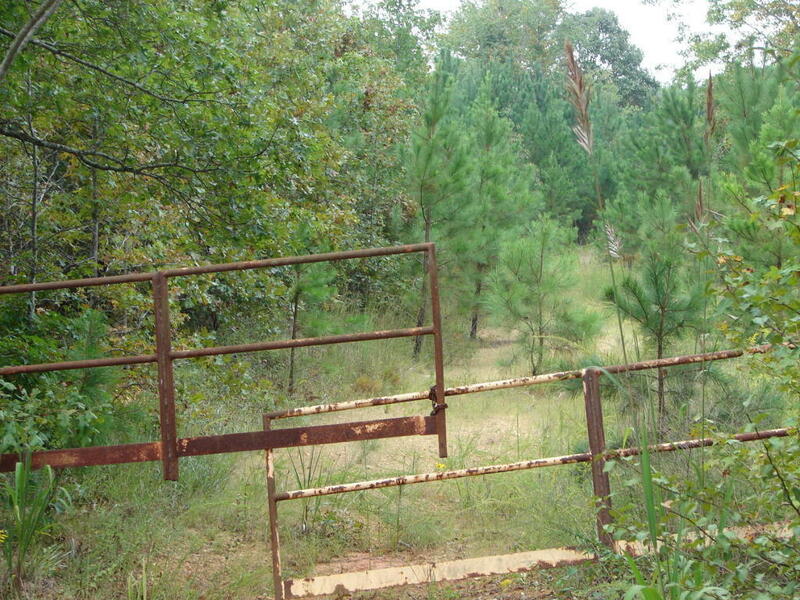 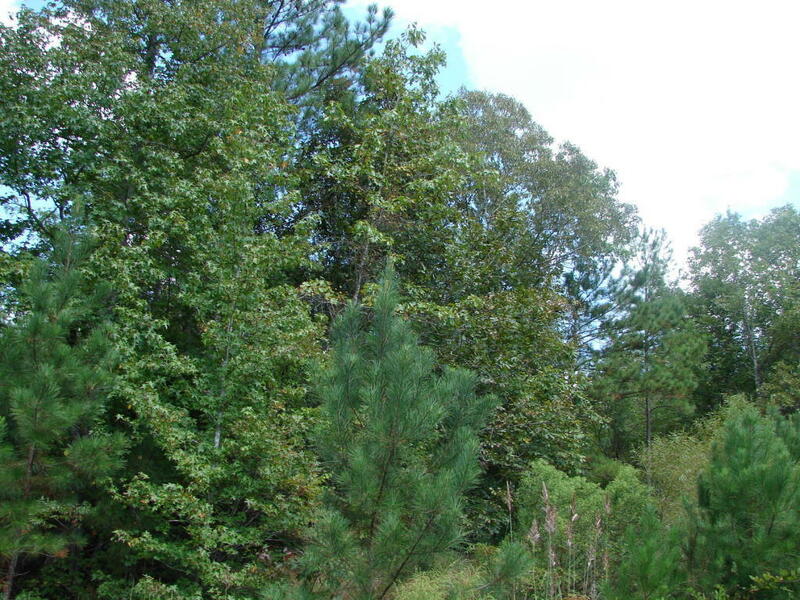 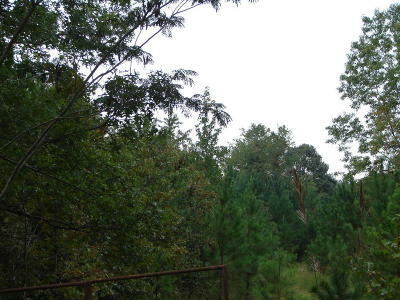 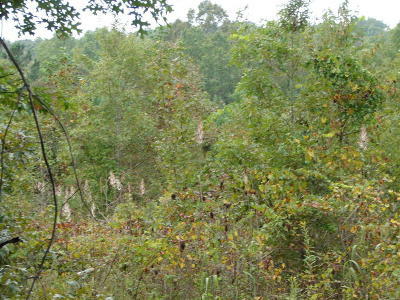 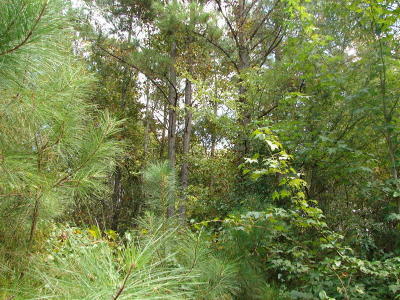 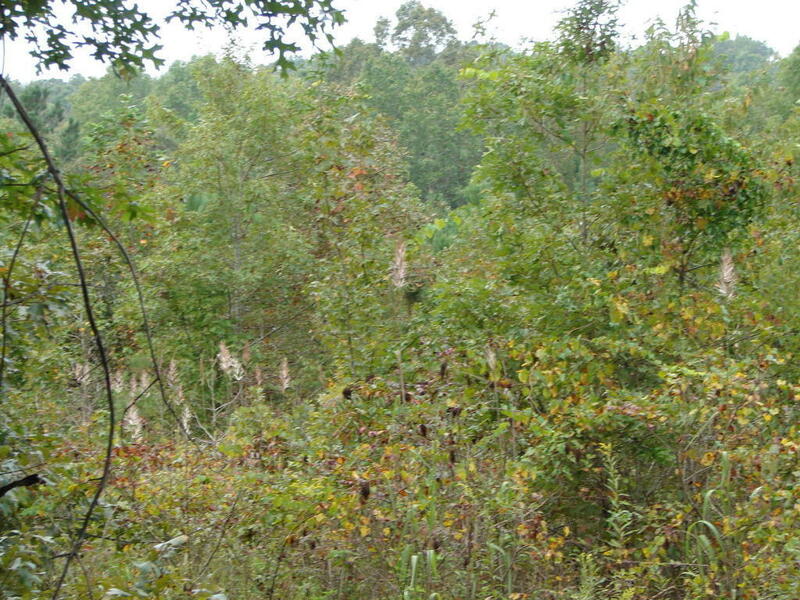 There is a nice stand of mixed pine & hardwood growing on approximately 22 acres of the Subject Property. 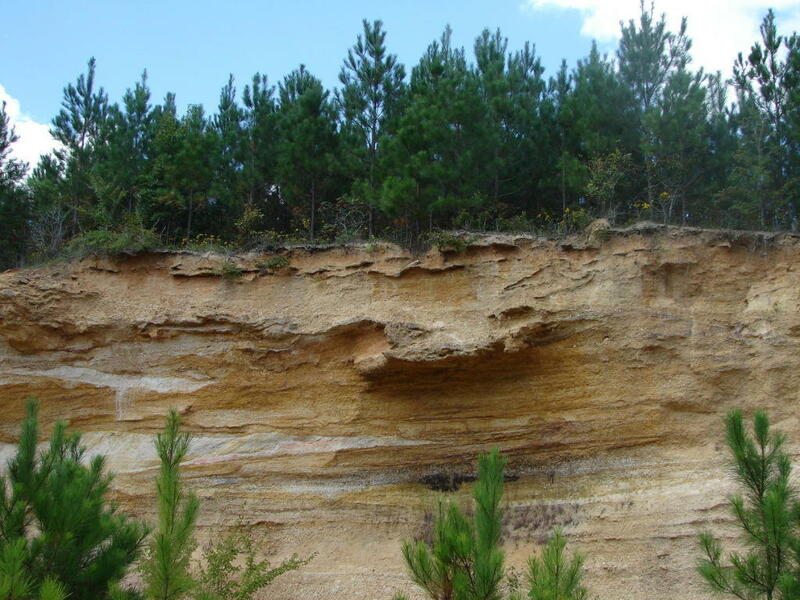 The balance of property is gravel pits that could be re-opened. 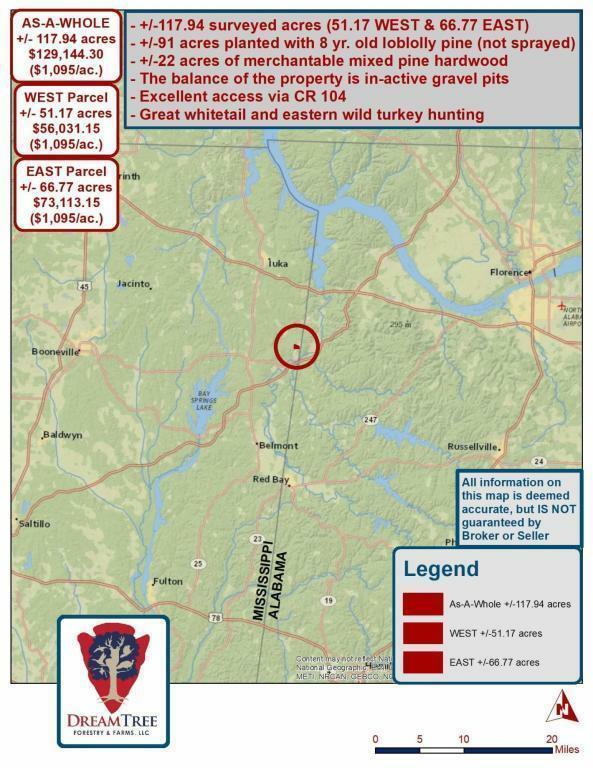 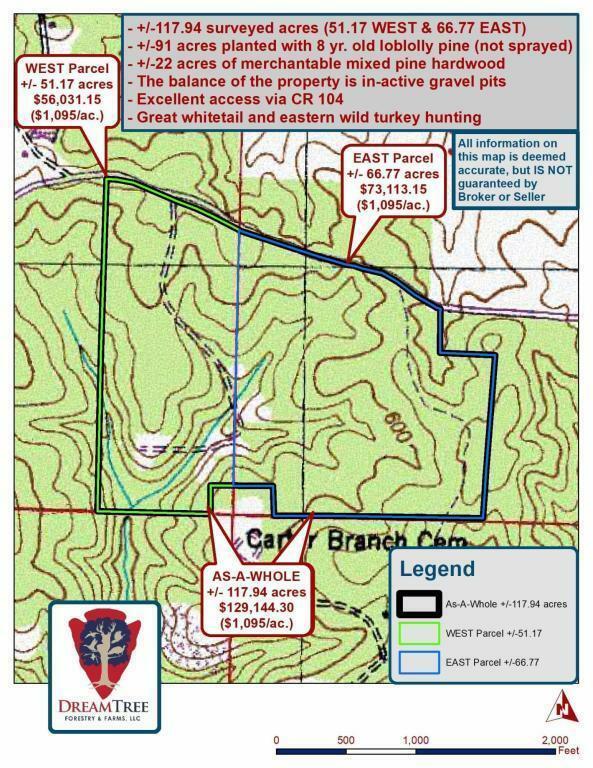 Good hunting for deer & turkey.